After millions of (air)miles, I’m still in love with the miracle of aviation. The idea of entering a metal tube in one continent, and exiting it in another has never lost its magic. But the way we book flights is fundamentally broken. Back in the day, it was simple. You’d go to a travel agent who would arrange things on your behalf, or maybe you’d purchase your ticket at the airport. But today, things are more complicated, and it’s all the Internet’s fault. If you’re a typical leisure traveler, your purchasing funnel will look something like this: first, you’ll start off at a search engine like SkyScanner, or perhaps Google Flights. After you’ve picked your destination and dates, you will see a range of options. Obviously, you’ll go for the cheapest one. So, you’ll inevitably be passed to a third-party travel agency. Once your booking is complete, you’ll be emailed confirmation details. To add any extras — like bags or special meals — you’ll have to log into the official airline website using them. Three separate steps just to make one booking. Like I said, broken. Fragmented, even. Confusing. One ambitious Berlin-based startup aims to fix this. Flyiin, which is currently in development, looks a bit like a standard travel search engine. It lets you compare prices among airlines, and book the most enticing ticket. But that’s where the similarities end, because Flyiin is entirely self-contained, with the entire booking process taking place inside the website. You aren’t redirected to a third-party travel agency – some of which can be pretty sketchy. Furthermore, Flyiin lets you purchase ancillary services and products — like premium meals, fast-track security, and lounge access — at the same time you purchase your ticket. It’s all done within the same fluid process. Moreover, payment isn’t taken by Flyiin, but the airline. At first, it’s hard to wrap your head around, but when you understand what makes this possible, it all starts to make sense. 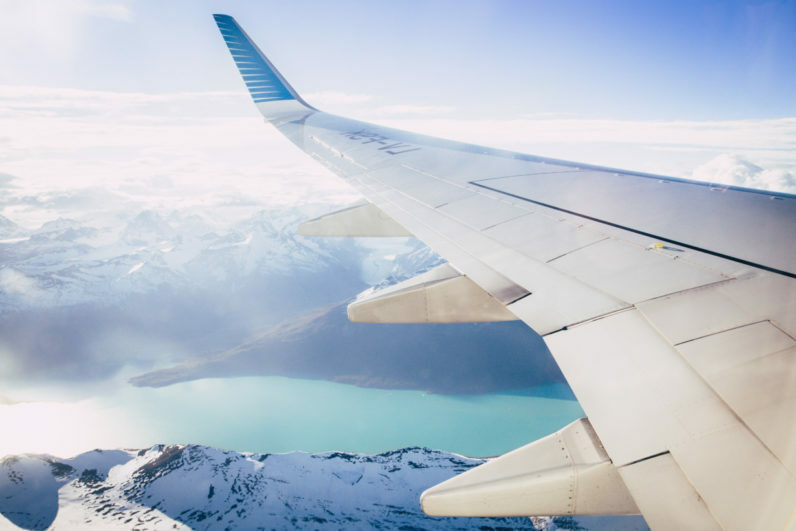 Flyiin takes advantage of a new development in the aviation market, where airlines offer access to their APIs (Application Programming Interfaces). These allow third-party developers to build software products around the airline’s booking and reservation systems. “This is a new trend for the airline industry, but is picking up big time, as it gives airlines control over their distribution,” explained Flyiin CEO Stephane Pingaud. When you search for a flight on Flyiin, it’ll take the details of your request, and feed it into the various airline APIs it supports, in order to compare the various options available. And when it comes to pay for your booking, the details of your reservation, including payment details, will be passed through the relevant API. Another advantage of this approach is that you can get the best value ticket depending on the type of ancillary services you require. Flyiin can calculate the difference between restricted (also known as basic fare) tickets with bags, or more expensive classic (or flexible) tickets that may come with hold bags included as standard. Although, this approach has one major downside. Integrating an airline API is an expensive and laborious process that consumes developer time. It also requires Flyiin to obtain access to each airline API, which often requires delicate negotiation. So far, Flyiin has signed up several major European and North American airlines. Most are either owned by the Lufthansa Group (Lufthansa, Swiss, Brussels Airlines, Condor), or the International Airlines Group (British Airways, Vueling, Iberia). Also present is Air Canada, Austrian Airlines, and Air Berlin. This lack of airline diversity may be a problem, as it tries to enter a market with several entrenched players with brand recognition. Dethroning SkyScanner will not be easy, especially when you consider that the European airline market is a deeply fragmented one. At the moment, Flyiin doesn’t even scratch the surface of what’s on offer. Given that leisure travelers are price sensitive, it follows that they’ll use the service that gives them the most complete range of options. At the moment, that isn’t Flyiin. The company also wants to offer airlines the ability to customize the visual aspect of booking, by associating image assets and textual information with fare quotes. This is something Flyiin is working on, and won’t be available at launch. “Right now the airlines aren’t committing to this, as it means they have to do some content management, but they’re working on it,” said Pingaud. Unfortunately, if you want to take Flyiin for a spin, you’ll have to wait. The company plans to launch the site in a private beta next month, where it’ll figure out the kinks in its payment systems. Then, between three and four months later, it will launch in a public beta. This period is expected to last for a maximum period of twelve months.